AC Milan are reportedly considering one of Simon Kjaer or Stefan de Vrij to further bolster their defence with Mateo Musacchio already likely on his way. With a central defensive partner for Alessio Romagnoli high on the agenda this summer, the Rossoneri continue to be linked with various names. Follow Sumeet on Twitter @SP_Calcio for all the latest Milan talk and transfer news. According to Calciomercato, while Musacchio is an all-but done deal for the summer, Kjaer and De Vrij are also being considered to add real depth and quality to the squad in that department. It’s questionable as to whether the likes of Cristian Zapata and Gabriel Paletta have a long-term future at the San Siro, but it also remains to be seen how easy it will be for Milan to offload these individuals in order to make space for their new signings. Meanwhile, Football Italia, via SportItalia, report that Milan officials will fly out to Germany next week to finalise an €18m deal for Wolfsburg left-back Ricardo Rodriguez. It’s claimed that the Swiss international has agreed on personal terms already with a contract worth €3m-a-season on the table while it’s suggested that Wolfsburg are ready to lower their demands from the €22m release clause and accept a bid of around €18m. Despite interest from various Premier League sides, it looks as though Milan will win the race for Rodriguez, and with Mattia De Sciglio likely to leave and a lack of real quality at left-back, it will hopefully prove to be an important signing. In addition to the defence, Milan will need to dramatically improve their midfield this summer. 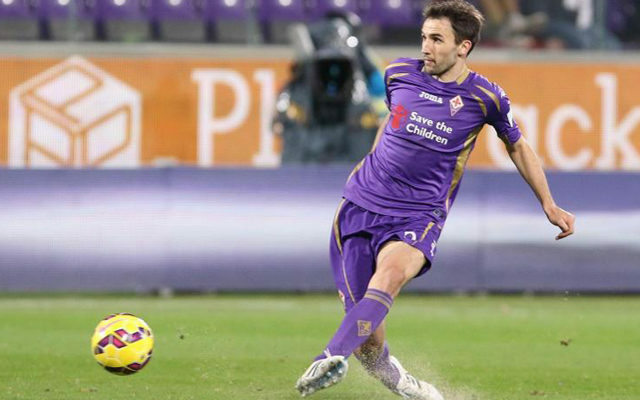 The current options have shown that they’re not up to the challenge on a consistent basis, and as per Calciomercato, the Rossoneri are set to reignite their interest in Fiorentina ace Milan Badelj. The Croatian international was linked with a move to the San Siro last summer, and while it failed to materialise on that occasion, it could be successful this time round as he has just over a year remaining on his current contract with Viola.